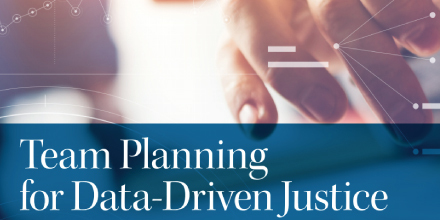 Potter County has made a commitment to implement “Data-Driven Justice.” The process began with the Board of Commissioners enrolling in the national initiative. That was followed by the Potter County Criminal Justice Advisory Board (CJAB) adopting DDJ as part of its 2018 strategic plan. Most recently, the national DDJ organization has taken a particular interest in the county’s efforts, raising the prospects of Potter County becoming a rural pilot project to implement DDJ. County officials are now developing a strategic plan to implement DDJ. Phase 1: Research other counties’ experiences in successfully implementing data collection and analysis. Phase 2: Determine how this data could benefit Potter County through: (a.) a review of current practices; (b.) an assessment of needs and potential applications through close engagement with the county’s criminal justice system — judiciary, district attorney/law enforcement, public defender, jail administration, human services and others. Phase 4: Review goals of DDJ implementation – i.e., the options as identified through Phases 1, 2 and 3 — for consensus support among all affected parties. Phase 5: Present recommendation to Potter County Board of Commissioners for acquisition and implementation of the data collection and analysis plan. Every year, more than 11 million people move through America’s 3,100 local jails, many on low-level, non-violent misdemeanors. The average length of stay is 23 days and 95 percent of the cases are resolved at the local level without a prison sentence. On any given day, more than 450,000 people are held in jail before trial, even though they have not been convicted of a crime. Research shows that even a short stay in jail can impact a person’s health, job and family stability, and can also increase the likelihood that he or she will commit future crimes. The costs of administering local criminal justice systems are significant, both in terms of actual dollars to taxpayers and in the disruptive impact of incarceration on children, families and communities. People held in jail before trial because they cannot afford to bond out, not because they are a risk to the community or a risk of flight. 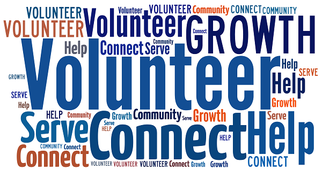 Potter County Commissioners are seeking volunteers willing to serve on any of several county authorities, commissions and advisory boards. In an effort to broaden diversity, geographic representation and background knowledge, the commissioners are building a roster of individuals who have a willingness to volunteer. Potter County Planning Commission. Administers subdivision and land use/development regulations; countywide comprehensive plan; regional advocacy on transportation funding priorities and other initiatives; reliable resource/liaison for township and borough governments. Potter County Redevelopment Authority. Economic development; support services for business and industry; administration of federal/state grants and loans for economic development. Potter County Housing Authority. Administration of programs meeting needs for safe, healthy and affordable housing. Potter County Human Services. Multiple advisory boards to guide administrators on meeting local needs. Potter County Hospital Authority. Public agency assisting UPMC Cole in acquisition of funds for capital improvements and implementation of long-term planning objectives. Farmland Preservation Board. Responsible for purchase of development rights to preserve agricultural land. Local Emergency Planning Committee. Coordinates activities of firefighters, emergency medical services, fire police and related responders; liaison with Potter County Department of Emergency Services for training, funding opportunities, drills/exercises to test preparedness. Those wishing to be considered for appointment should contact Danielle Gietler, executive secretary to the Potter County Commissioners, at 814-274-8290, ext. 207 or pcexecsec@pottercountypa.net. Potter County has renewed its commitment to the national Stepping Up Initiative, a comprehensive plan to reduce the number of mentally ill men and women behind bars. Commissioners Doug Morley, Paul Heimel and Susan Kefover approved the required resolution last year. Since that time, the Potter County Criminal Justice Advisory Board has adopted Stepping Up as a top priority. A planning team has been meeting to guide the process. Counties have been forced into the position of having to provide treatment services to people with serious mental illnesses booked in county jails. Prevalence rates of serious mental illnesses in jails are three to six times higher than for the general population. Adults with mental illnesses tend to stay longer in jail and, upon release, are at a higher risk of recidivism than people without these disorders. County jails spend two to three times more on adults with mental illnesses that require interventions compared to those without these treatment needs. Without the appropriate treatment and services, many people with mental illnesses continue to cycle through the criminal justice system, often resulting in tragic outcomes for these individuals and their families. Convene or draw on a diverse team of leaders and decision-makers from multiple agencies committed to safely reducing the number of people with mental illnesses in jails. Collect and review prevalence numbers and assess individuals’ needs to better identify adults entering jails with mental illnesses and their recidivism risk, and use that baseline information to guide decision-making at the system, program, and case levels. Examine treatment and service capacity to determine which programs and services are available in the county for people with mental illnesses and co-occurring substance use disorders, and identify state and local policy and funding barriers to minimizing contact with the justice system and providing treatment and supports in the community. Develop a plan with measurable outcomes that draws on the jail assessment and prevalence data and the examination of available treatment and service capacity, while considering identified barriers. Implement research-based approaches that advance the plan. Create a process to track progress using data and information systems, and to report on successes. Stepping Up does not require the establishment of a separate Mental Health Court, but rather can be implemented in a manner that complements the DUI/Drug Treatment Courts. Grants are available to support counties that commit to Stepping Up and could cover any added expenses, such as staffing, treatment or administration. 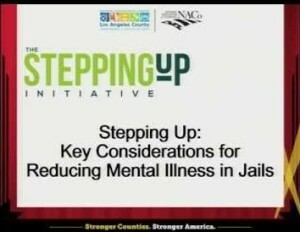 Details on Stepping Up are available on the website, stepuptogether.org.